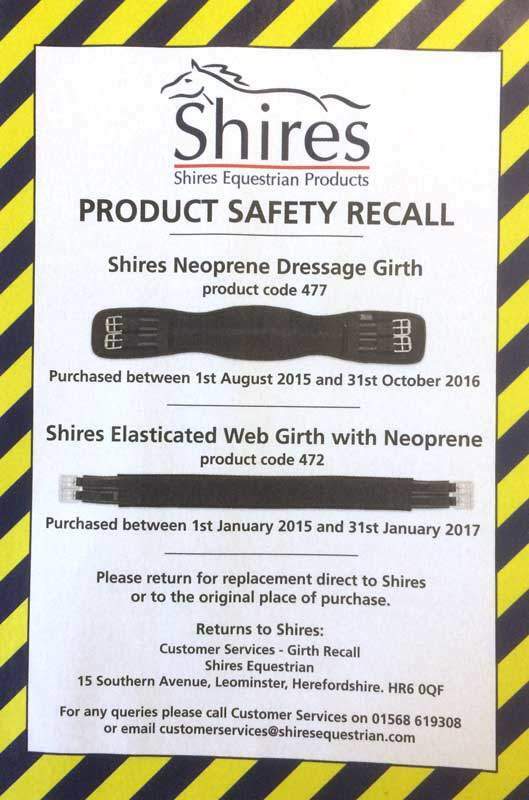 Hereford Equestrian > News > Shires Girth Product Recall! There is a product safety recall on 2 of Shires girths. If you have one/any of the products below, return them to Shires or to the original place of purchase, for a replacement. Shires Elasticated Web Girth with Neoprene (product code 472) purchased between 1st January 2015 and 31st January 2017.